Denver Computer Repair Service has provided the best mobile computer repair in Denver, CO and the greater Denver Metro Area since 1999. The term "mobile computer repair" means we come to you, to your home or business, to resolve all your computer problems. Why not use the #1 rated company for computer repair in Denver, CO? 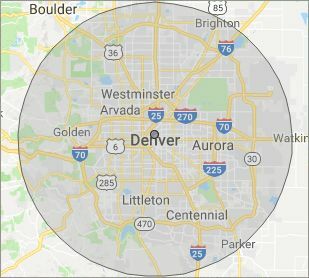 Who is Denver Computer Repair Service? 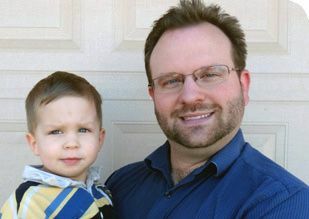 Denver Computer Repair Service is owned by Matt Karls, an Electrical Engineer and a Computer Systems Engineer. We are a team of computer professionals focused on service and quality, all our work is guaranteed. If you have any computer, technology or IT problem in Denver, CO we can fix it. We have been performing computer repair in Denver full time since 1999. Feel free to give us a call or text us at (720) 441-6460. Our primary on-site mobile service areas include the greater Denver metropolitan area and the Phoenix, Tucson, Las Vegas, San Diego and Salt Lake City metro areas. We provide remote and mobile computer repair in Denver, Arvada, Aurora, Boulder, Brighton, Broomfield, Centennial, Cherry Hills Village, Columbine, Commerce City, Englewood, Glendale, Golden, Greenwood Village, Highlands Ranch, Ken Caryl, Lafayette, Lakewood, Littleton, Louisville, Lone Tree, Northglenn, Parker, Sherrelwood, Superior, Thornton, Westminster and Wheat Ridge. Our mission is to fully resolve your computer problems quickly and affordably. If you want a Computer Engineer that can fix all of your computer problems instead of a computer tech, a computer geek, a technician or a computer guy that can only fix some of your problems; call us at (720) 441-6460. "Ben came out to help us with our laptop after we had an issue with a virus and he was very helpful and informative on the matter. He was very respectful and kind in our home. Glad we put our trust in him, would recommend to friends and family!"